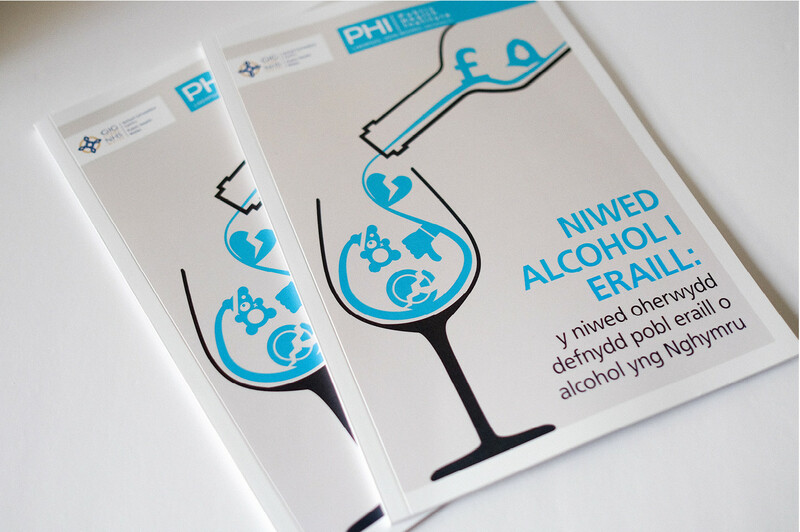 In 2015 Public Health Wales, in collaboration with the Public Health Institute and Liverpool John Moores University undertook the first study on alcohol’s harms to others across Wales. 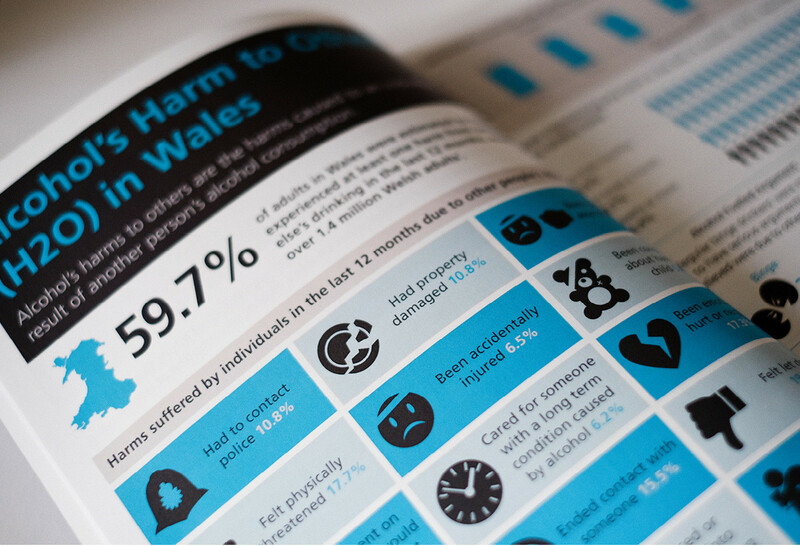 The survey aimed to provide an initial understanding of alcohol’s harms to others in Wales. It focused on 19 categories of harm, exploring their nature, extent and frequency as well as the relationship between the person experiencing the harm and those causing the harm. 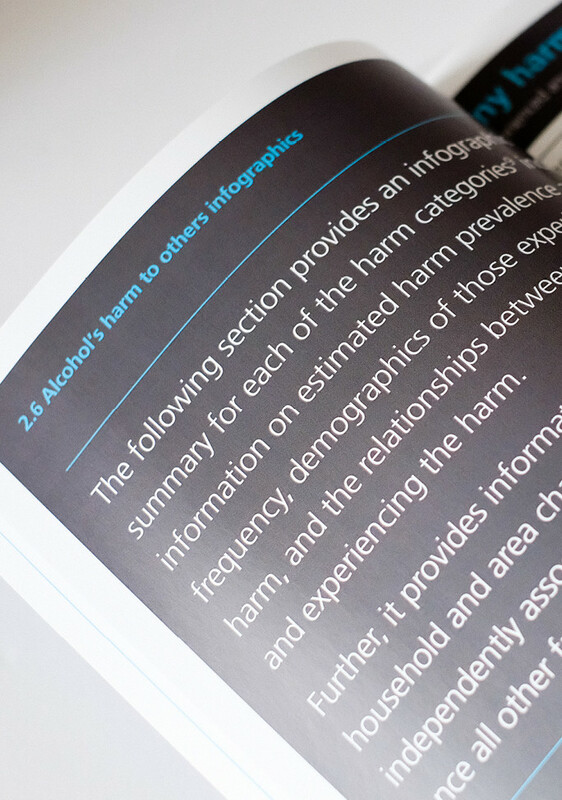 We were asked to design the report featuring the findings of the survey. There are a lot of facts and figures throughout the report so we took an infographic approach with the design. We developed a series of infographics to present this information in a visually appealing way to attract, inform and to make it more easily accessible to a larger audience. 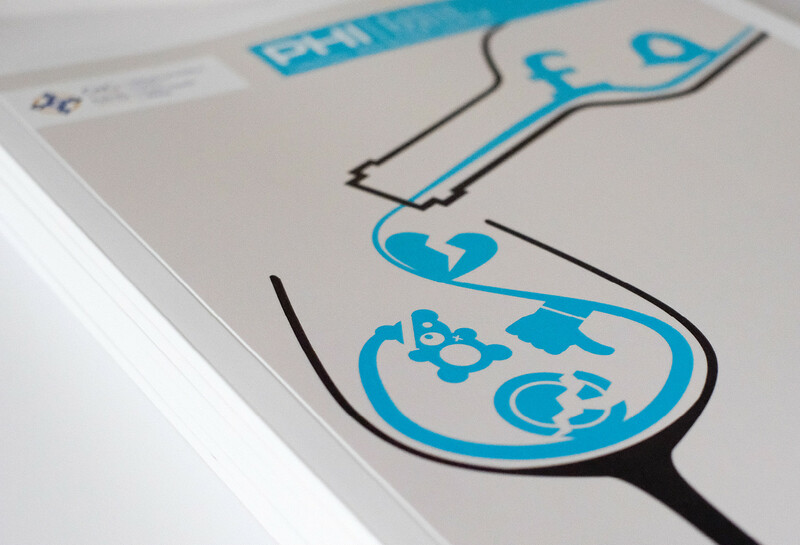 We also created an illustration for the front cover that complimented the infographics inside the report. The result is a report that communicates the findings simply and quickly making the information more impactful and easy to understand at first glance.